Shoot, a cat removed from the Frankford home. Two women were convicted on animal cruelty charges in separate cases that involved 44 cats and two dogs in Northeast Philadelphia, the Pennsylvania SPCA announced this weekend. Both verdicts were rendered on Wednesday. “We are proud to have not only secured justice for the animals in these cases, removing them from a bad situation, but also in the work we do to place them in homes where they will have a good quality of life and the love they have always deserved,” PSPCA Director of Humane Law Enforcement Nicole Wilson said. PSPCA officials said that Mimi Baas, of the 2400 block of Bridge Street in Bridesburg, was found guilty on 28 counts of lack of veterinary care. An investigation was initiated after officers received a tip about dead cats in a trash can. Baas' home was searched on July 7, and investigators said they discovered 27 cats and two dogs living in what they described as "filthy, flea-infested conditions, with many in severe medical distress." The animals were removed from the residence and received medical care. Many of those animals have been adopted, but several are still in need of medical treatment. Baas was fined $2,800 and is prohibited from owning an animal for 2,520 days, nearly seven years. In the other case, Charlotte Simila, of the 4400 block of Griscom Street in Frankford, was found guilty on 22 counts of lack of veterinary care and one count of unsanitary conditions. 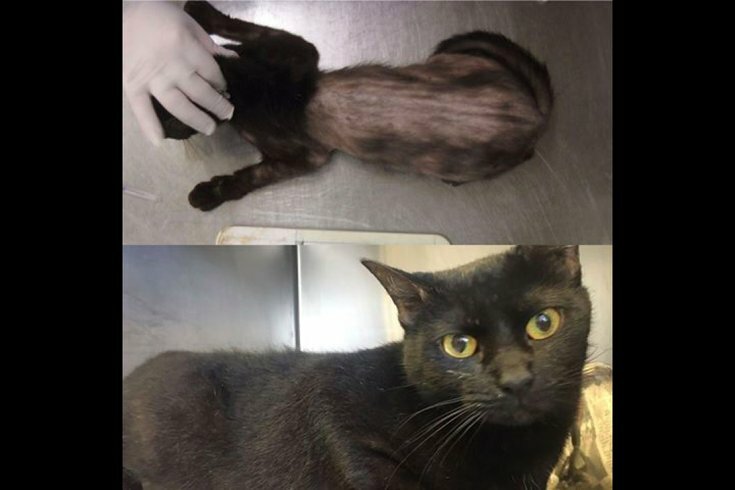 Officers received a tip on the PSPCA’s cruelty hotline and searched Simila's home on June 16. In the residence, 17 cats were discovered living in what they described as "filthy, feces-covered, urine-soaked condition." Two cats were found dead, the PSPCA said. All of the surviving cats have been adopted. Simila was fined $1,100 and is prevented from owning an animal for 2,070 days, about five-and-a-half years. The PSPCA urges the public to report animal abuse on its cruelty hotline at (866) 601-SPCA.